MILWAUKEE (May 14, 2018) – The national law firm of Quarles & Brady LLP today announced that partner Raye Daugherty of the Intellectual Property Practice Group has been named among Wisconsin Law Journal’s 2018 Women in the Law. The Women in Law designation honors outstanding achievement by Wisconsin’s top women in the practice of law. Awardees are those who, by achieving success, have also paved the way for success for other women in the law. A total of 23 lawyers from across the state were selected for the honor. Daugherty is a trusted legal advisor to her clients, providing practical and straight-forward advice regarding complex legal and technical issues. She provides strategic value by successfully developing and implementing processes that allow for efficient management of the company's patent portfolio, while maximizing its value and avoiding infringement risks. Daugherty also has an extensive background in providing global patent strategies for multi-national manufacturers. 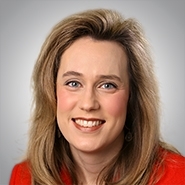 She is well-respected for her experience in drafting opinions concerning patent validity, infringement, and patentability and has assisted clients in numerous industries, such as the water treatment industry, the motor/drive industry, the industrial automation industry, and the medical device industry. Beyond the office, she and her husband are founders and active supporters of North Shore Montessori School in Glendale, Wis.
“Raye is a great role model for others – both women and men – to follow, and we are proud of her and this important achievement,” said Katie Perhach, Quarles & Brady Milwaukee office Managing Partner. Daugherty and the other award recipients will be honored during a ceremony on June 21.